Facebook , the new social networking site of the moment, has almost doubled its US user-base to 26.6 million in just 12 months. In the last three months alone, the number of visitors has gone up by a staggering 10 million. That's over 100,000 new American visitors going to Facebook every day. The research comes from Comscore , which over the last year has been conducting a visitor study on the US-based social networking site. 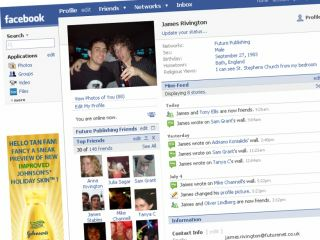 The dramatic growth comes on the heels of Facebook's decision in September 2006 to open up registration to the general public. This was a change from the previous policy requiring a valid email address from a university or a selected group of secondary schools and businesses. In the months prior to allowing open registration, Facebook's traffic hovered at approximately 14 million visitors per month. However, after Facebook opened its doors to the general public, visitation accelerated to reach a level of 26.6 million visitors in May 2007. This was up 89 per cent versus the same month last year and 100 per cent versus September 2006. "Given its roots as a college networking site, Facebook has historically shown very strong skews toward the 18-24 year old age segment," said Jack Flanagan, executive vice president of comScore Media Metrix. "However, since the decision to open registration to everyone, the site has seen visitors from all age groups flood the site. As the overall visitation to Facebook continues to grow, the demographic composition of the site will likely more closely resemble that of the total internet audience." Facebook has been particularly successful in Canada and the UK; MySpace still rules in the USA.